Europe in the High Middle Ages by William Chester Jordan is the third book in the series The Penguin History of Europe. 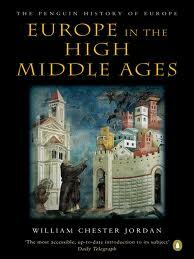 The High Middle Ages is the name given to the period of medieval history from 1000 to 1350. During these years, European civilization reached heights not seen in the West since the fall of the Roman Empire. The political situation in Europe stabilized somewhat, trade increased, cities grew, universities were established and learning flourished. The nations of Europe ceased to be helpless victims of foreign invasion and, through the Crusades even began to project power outside the continent. Although the nations of Europe began to take their modern shape during the high middle ages, political power was extremely decentralized, especially in France, more than in the period immediately before and afterwards. The Papacy became more prominent on the international stage and powerful Popes could even challenge kings and emperors for influence. It all ended in the middle fourteenth century with a change in climate that caused a decade of famine. Then the horrors of the Black Death struck Europe in 1349. No institution in Europe survived unscathed, and the optimism and vitality of the High Middle Ages was gone. When Europe began to recover from these disasters, it was no longer the Middle Ages, but the Renaissance, and the West was moving in a new direction. William Chester Jordan brings this fascinating period of history to life in his book. Like the other books in The Penguin History of Europe, The High Middle Ages focuses less on a detailed chronology of events and more on a general overview of cultural and historic developments, especially including the political development of the emerging nation states of Europe and their relationship with the Papacy. There is also a lot of information on the intellectual trends of the High Middle Ages as well as a good account of how it all seemed to fall apart in the fourteenth century. Unfortunately, the author breaks of the story in 1350, just as the Black Death is ravaging Europe, leading to a kind of cliffhanger effect. He also doesn’t give much space for the influences of Islamic culture on Europe’s development. Still, I can recommend Europe in the High Middle Ages for anyone who wants to learn more about that fascinating period of history. 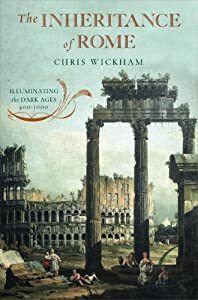 The Inheritance of Rome by Chris Wickham is the second book in the series the Penguin History of Europe, following The Birth of Classical Europe. Like the earlier book, The Inheritance of Rome is more concerned with the uses the people of the era made of their understanding of the past than with giving a straightforward chronology of the era. In other words, this book deals with the inheritance the Roman Empire bequeathed to the peoples living in the centuries after its collapse in the West. These peoples, whether of the post Roman kingdoms of Western Europe, the Roman remnant of the Byzantine Empire in the East, or the Islamic invaders made differing uses of the institutions and cultural norms left behind by the Romans, each society adapting Roman ways to their particular needs. The Inheritance of Rome covers the centuries between 400 and 1000. While these endpoints may seem somewhat arbitrary, in neither case do they indicate any sort of sharp division, they nevertheless are appropriate as the endpoints for the transformation of Europe from a continent dominated by a centralized empire to the decentralized, feudal Europe of the Central Middle Ages. At the beginning of this period, the Roman Empire was still the same empire that had existed for centuries. No one could have guessed that the western half of the empire would soon be overrun by invaders within 80 years would be gone. For centuries afterwards, no one quite believed that the Roman Empire had actually passed away and much of the history of the Early Middle Ages is the history of trying to restore the Empire, culminating in the great Carolingian project. The Carolingians very consciously made use of the rhetoric of restoration in their policies. They sought to create a universal Christian Empire and were, at least in theory, concerned with the souls of their subjects as much as their lives. The project failed in the end when the Carolingian dynasty died out. The Ottonians tried to continue this legacy, but Europe, under attack from Vikings, Arabs, and others was less inclined to see itself as a whole towards the end of this period. In fact, starting in the middle tenth century, we can begin to speak of the modern nations of Europe, France, Germany, etc. 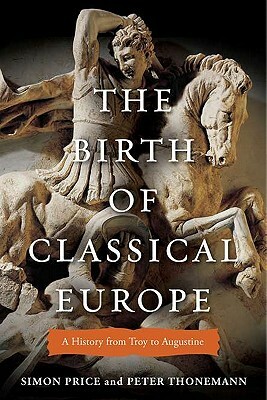 Europe was beginning to grow beyond the inheritance of Rome. The period covered in this book is often referred to as the Dark Ages. Wickham deals with this question through his book. On the one hand, the era was not nearly as dark as is sometimes supposed. There were some strong continuities between the society and institutions of the Roman Empire and the post-Roman polities that succeeded it. The Germans invaders did not simply sweep away Roman institutions and customs, but were rather, eager to adopt Romans ways. On the other hand, Wickham describes a clear simplification and localization of the economies of the entire region, particularly in the centuries of the worst crises, about 500-700. There was a step backwards for much of the region for which the reasons are not entirely known. The Inheritance of Rome is an excellent way to learn about an interesting and important period of our past.